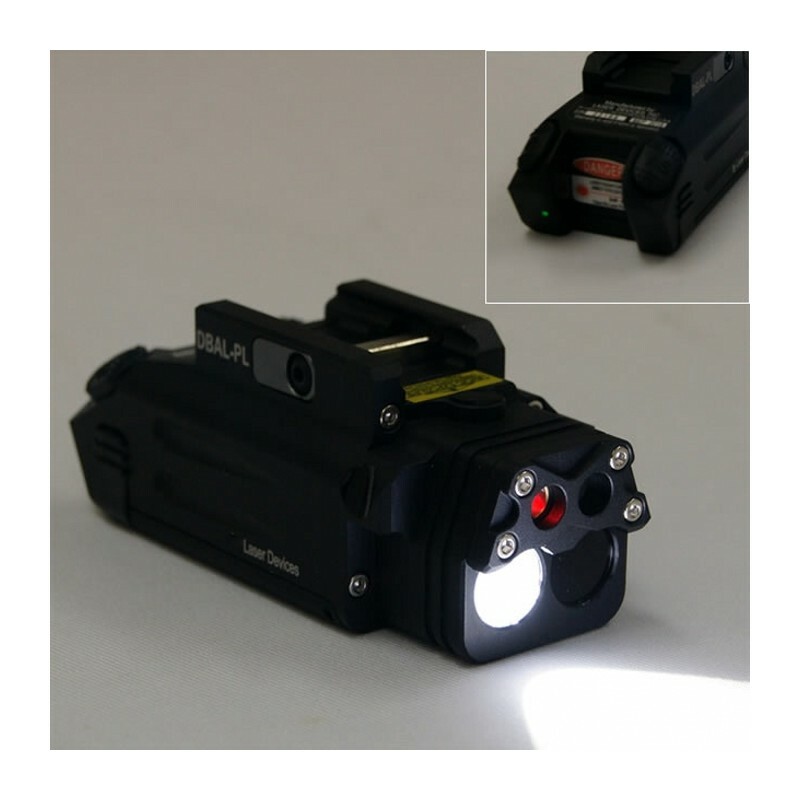 Target One DBAL-PL LED Flashlight with Red Laser IR Function. Two Operational Modes: IR Mode, Visible Mode. 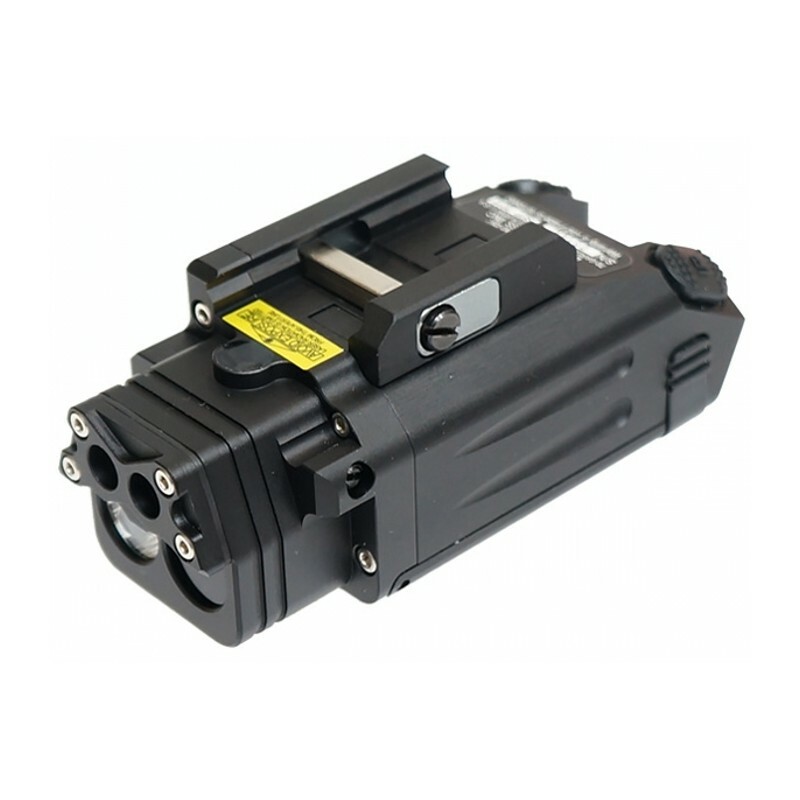 Function : Visible Red Laser / White Light LED 400 Lumens / IR Laser / IR Led Illuminator. The DBAL-PL is housed in a hard anodized, machined 6061 T-6 aluminum body, waterproof up to 5 meters. Two buttons are present on an angled rearward-facing surfacing, located for quick access and easy to manipulate with or without gloves. 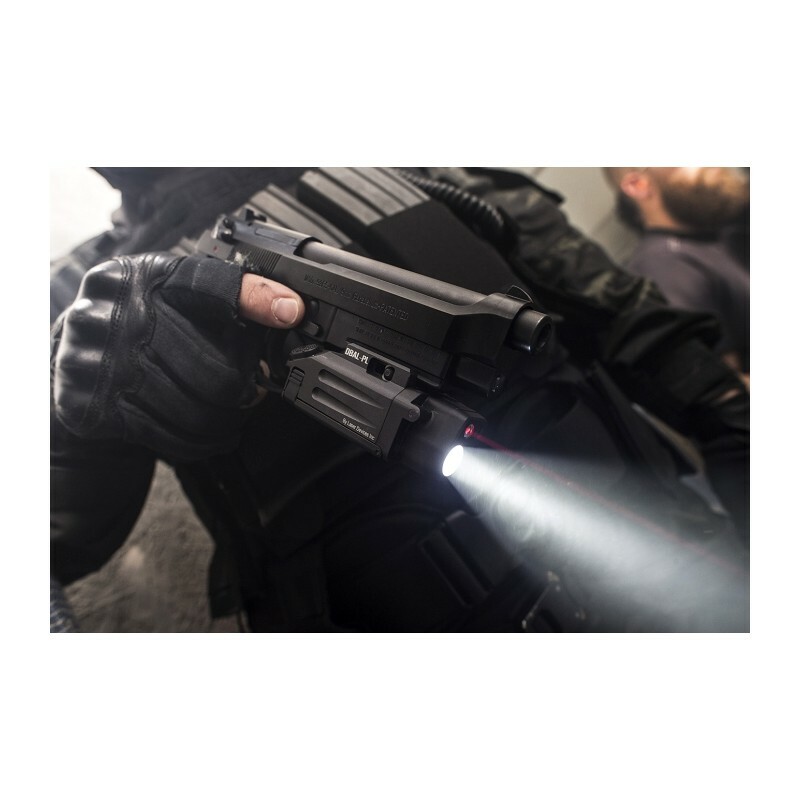 One button, marked “VIS”, activates the visible laser and 400 lumen white light. The other button, marked “IR”, activates the infared laser and illuminator. 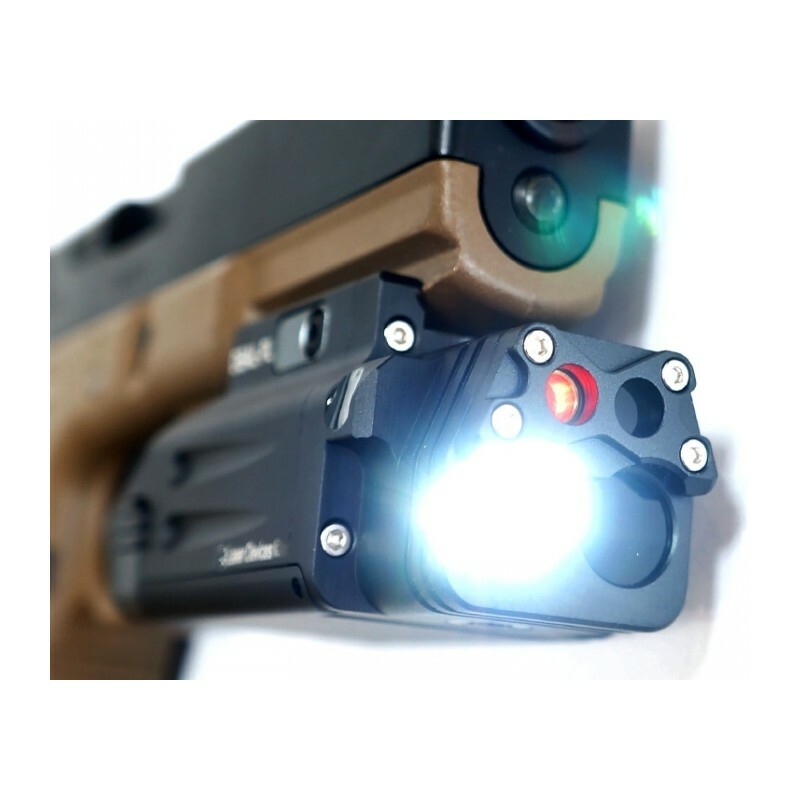 The infared illuminator is largely effective out to 50 yards and visible to almost 100 yards, taking into consideration that the unit is designed for a pistol which will rarely be employed past 25 yards. 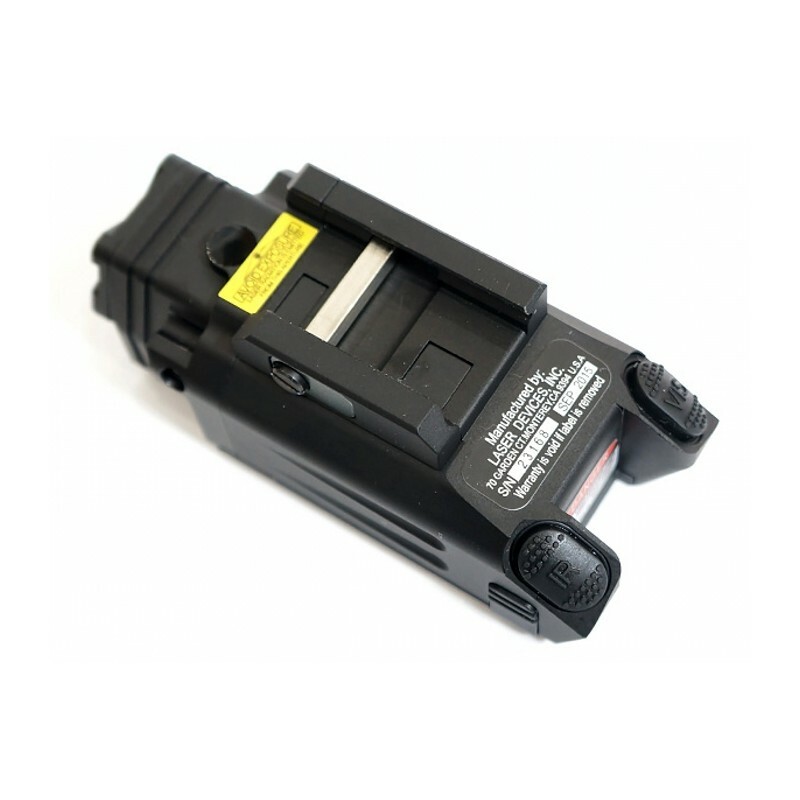 This light moduel with compact configuration of the various purposes and ismade ​​of reinforced plastic shell production. 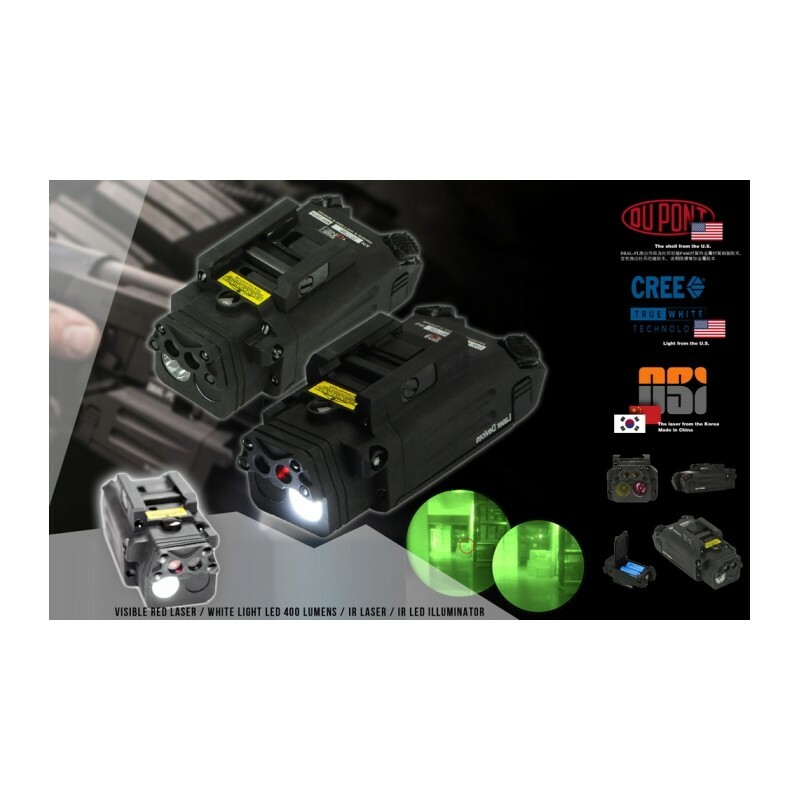 It has a built-in white LED light and Infrared Lighting that can be used in dark conditions and can work with night vision equipment.